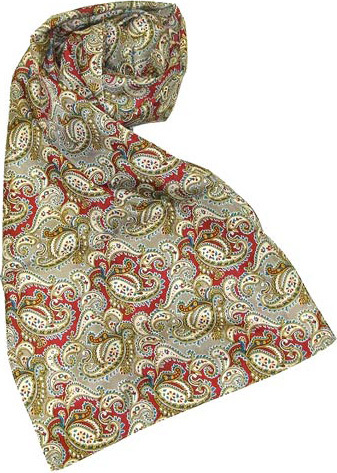 Wear the very same silk paisley scarf Sylvester McCoy's Seventh Doctor wears in BBC's Doctor Who! Featuring a paisley design made to mimic the look and style of the Seventh Doctor's scarf, this beautiful 67-inches long x 12-inches wide Doctor Who Seventh Doctor Silk Scarf is pure quality, and will make a great addition to any Whovian's collection. Never walk to your favorite local coffee shop unfashionably again!